Is The Legal Writing Style Really Convoluted And Long-Winded? How Many Attorneys Handle Issues of Legal Ethics? Summary: Most successful attorneys concentrate on one practice area. Law and the practice of law is an ever-morphing entity that can spark interest in nearly everyone. In fact, those who are most susceptible to law’s vast reach, as well as the subject matter provided by law’s various practice areas are, unsurprisingly, lawyers. When faced with fellow lawyers, legal recruiters when you want to change legal jobs, and clients who you wish to onboard and represent, you may encounter adversity due to your vast interest in the entirety of the legal world. Sure, a renaissance person of law will have admirers. But when it comes to winning a case and making money, your best bet in law is to stick with one practice area and be absolutely myopic about it. In law, the term practice area stems directly from a type of law that an attorney takes up as his or her specialty. For many attorneys, specializing in one area of the legal practice arrives after they’ve been practicing for approximately two to five years. For example, an attorney who has an interest in real estate law may at some point in their career choose to practice only in regard to real estate. The same can be true for lawyers who wish to dwell in patent work, mergers and acquisitions or trust and estate law. 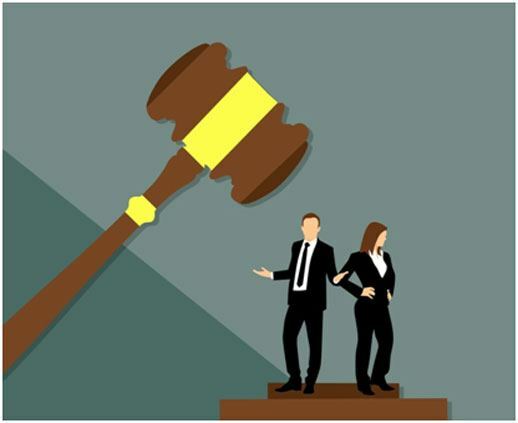 In short, all lawyers who have been in the profession for a while, tend to be drawn to one type of law or the other, especially as they approach their senior years. And more likely than not, the desire to work within a practice area has been with this attorney since their undergraduate years, maybe even earlier, dating back to high school. Allow the attorney to have autonomy away from the daily grind of the law firm. Simplify the attorney’s work now that he or she is focused on one type of law. Give the attorney even more time to concentrate on and become an expert in law. Grant the attorney an opportunity to find their own clients (within their practice area), and bill the client accordingly with the remainder of the law office having little to do with this lawyer and his or her clients, all of which can lead to a stronger sense of trust with the clients. In all notions of law, the lawyer who has interests in multiple practice fields, should be celebrated as a true student of the law-related philosophy. However, those who choose to devote themselves to one area of law are found to be much more pragmatic than attorneys who split their attention between two or more fields of interest. These attorneys with multiple areas of interest are, in fact, much more difficult to work with, and are in some ways regarded negatively by law firms, legal recruiters and clients alike. In law, there’s a time and a place for everything. With law, particularly after a person has graduated law school and successfully passed the bar, experimentation is, for the most part over. Sure, first-year, maybe even second-year associates might have an interest in two or more practice areas, and looked at admirably by senior-level associates and partners for having a hunger for all things law, but more sooner than later, the novelty of a young, intellectually hungry attorney wears off in lieu of the work directly at hand. Playtime, essentially, is over. Now it’s time to get down to work. a. You may not have an interest in the work at hand. b. May not have the proper level of expertise. c. Will put in a less-than-needed effort into the case. d. Overall, can’t be trusted to do good work. Undecided: An undecided attorney is an abject failure to almost any law firm. This is because attorneys are to be the polar opposite to indecisiveness. On the contrary, attorneys need to be dedicated, strong willed and unwaveringly convinced that their beliefs, opinions, thoughts and even feelings are spot on toward a case’s resolution – hopefully on the side of the law firm and the client it is representing. The issue for others who depend upon an attorney with interests in other practice areas is their legal effort may be for naught due to not having enough interest in the type of law at work here to win the case. To this end, the attorney who is undecided about their practice area may wind up just being baggage throughout the life of the case. He or she may add very little to the case due to a general lack of knowledge of the law, or just a general interest. Because of this, few particulars about the case at hand will wind up on the undecided attorney’s desk. He or she may be left out of proceedings, client meeting or meeting amongst the legal team assigned to the case. Sure, attorneys like this are like a mismatched fourth tire on a car, which while they do some work toward driving the legal case at hand, they still may not be a perfect match for the case due to their interest in other practice areas, which in the end can hamper the case in general. Distracted: You can’t be distracted when given the opportunity to join a team of attorneys to work on a specific, and more likely important legal case. All of the legal individuals involved in this case – senior attorneys downward to legal to secretaries, understand this. With that in mind, should a person working with the legal team on which you’ve been placed – namely a senior associate or a partner – realize you hold interests in several practice areas, issues of trust may arise as to whether or not you’re too distracted to work on the case. Of course, to prevent this (as well as the first two suspicions your legal workmates may have toward your dedication to a case) is to immerse yourself whole-heartedly into the case you’ve been assigned. Even if you do have interest in several other practice areas, put those interests aside for the time being, which of course is until the legal case you’re currently working on is resolved. How lawyers with multiple practice field interests are regarded by recruiters? If your legal interests lie in several concentrations and you feel as if it is time you change law firms, recruiters may have a very difficult time placing you as a new hire. Legal firms increasingly like to see specialty within the legal profession. That is to say if you pursued tax law throughout your entire legal career, recruiters will have a much easier time placing you with a new law firm if you are still involved in tax law. The opposite is true if you have divided interests in several areas of law. The legal recruiter working with you may not know how to present you to a client. These can be the very words that come from a recruiter’s mouth as he or she attempts to present you to a new law firm. And even if they are successful with your presentation, the law firm client may be confused by your varied interests in multiple practice fields, and for that matter, have a less-than-comfortable feeling about you as a dedicated one-specialty type attorney. To be avoided by not just this particular firms, but other firms to who you might be presented. To drive your recruiter insane, and make it so they won’t want to continue working with you. To rather thoroughly destroy your legal career – at least for the time being. How lawyers with multiple practice field interests are regarded by clients? Let’s be frank about this: At the day’s end, the people we have to be most concerned with are our legal clients. They are the reason we’re working in the first place. Simply put, if it wasn’t for them, we’d all be out of jobs. And with those client acknowledgements and requirements comprising the five above, the last issue these clients need is an attorney who may or may not be totally onboard with their case, particularly after they learn of your interests in other practice areas. Honestly, they don’t care if you’re bored, distracted, not committed or undecided – you can be all that, but not with their case. Therefore, if a client needs real estate representation, family law is the last legal practice area on their mind. It should also be the last legal practice area on your mind, especially when faced with this client. Clients like these need focus and dedication. They need to know you will get the job done for them, and that your extracurricular legal activities get shelved for the time being. They aren’t screwing around, nor should you. Particularly as these clients, in the long run, pay your bills. There’s a time and place for the renaissance person within any profession, even in law. That’s as long as you care little about harvesting new clients, advancement to partner within the law firm where you now work, or if you want to make a move to a new law firm. Of course, all this depends upon what type of lawyer you are: Are you a student of the law? If so, then you will understand, possibly even endeavor into the world of multiple practice areas. The problem is, your billable hours, book of clients, and yes, even your job as a lawyer may suffer if you choose to concentrate on more than one practice area. The attorney who concentrates on only one practice area will undoubtedly have a narrower focus on law, potentially more billable hours (depending upon the practice area’s popularity), more clients, and higher respect within a law firm. They’ll be an expert, who may one day become bored and burned out due to their expertise of practicing only one type of law, but at least they’ll be a successful burn out. In the end, it all depends upon the lawyer and their interests; nothing else, nothing more. I prefer LawCrossing to any other site as it is easily accessible. It made my work of searching for jobs easy.